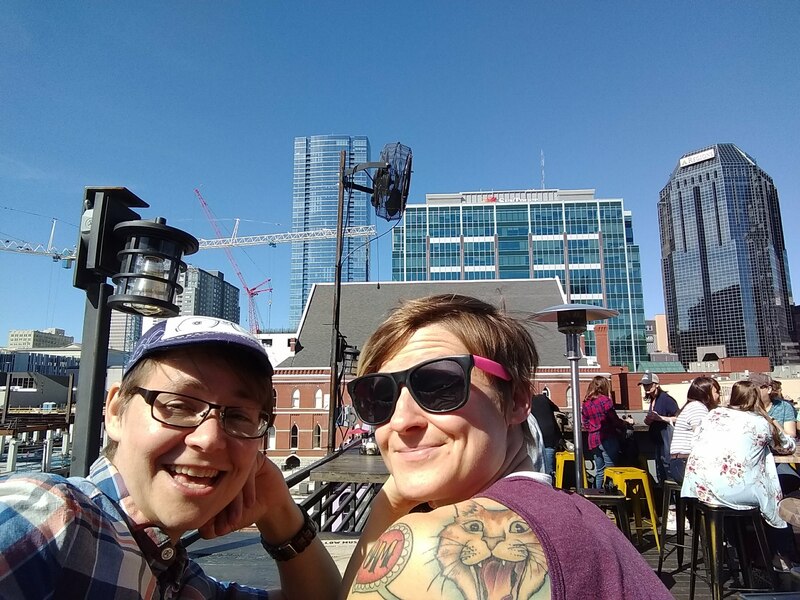 Last week I went to Nashville for a conference as part of my day job. I had no idea that Nashville was such a tourist attraction until I got there. I have been to Eastern Tennessee many times as my partner is a native Knoxvillian. Mid-Tennessee, however, appears to be a whole different ball game. I’ve been informed that it is the bachelorette party capital of the USA, and now having been there, can see that part of its draw is for the “let’s get drunk in the middle of the day” crowd. I also learned what “Honky Tonk” actually means from a native Nashvillian, who anticlimactically informed me that it is simply a term used to refer to a bar on the city’s Broadway Ave. 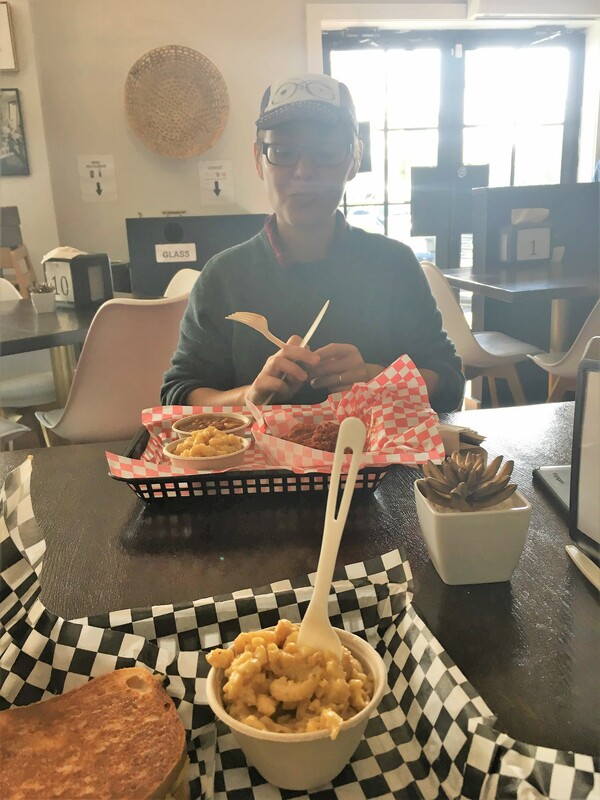 In addition to Nashville being much more happening and gay than I had imagined, I was happy to find so much Vegan Food there! Some is very easy to find, other things a little hidden. And, of course, there are those special treats that you just happen to stumble upon! Mellow Mushroom. This place is my go-to when traveling in the south. The chain has Follow-Your-Heart brand vegan cheese available in all of the locations I have been to so far (including Knoxville, Atlanta, & Louisville). But here’s the amazing thing: it doesn’t count as an extra topping! That’s right! It makes up for what’s been referred to as the “vegan tax” (ie paying full price form something even though you are omitting a bunch of stuff) at all those other pizza joints throughout the years. There is a location right on Honky Tonk row if you don’t want to wander too far from downtown. Graze Nashville. This was one of a few exclusively vegan restaurants, located on the east side. The portions here were pretty hefty, particularly if your dish involved any kind of tortilla. I went here with my partner and her dad, and so I got to try many things. We shared a roasted vegetable bruschetta plate. Not your typical bruschetta, but very fresh, and seasonally delicious. I got a delicious salad topped with grilled tofu, as well as a kale Caesar wrap made with tempeh bacon and came with a self-selected side of tarragon chickpea salad. The portions were so big that I got to save half my meal for the next day’s lunch. Of the three, the chickpea salad was my favorite. Dad-in-Law got the chickpea bay cakes, and as someone who grew up in Hawaii and is no stranger to sea food, he could have used a more crabby cake. I found them to be delightful, but agreed that they were not very crabby. My partner got the green chile burrito, which was very creamy and not what anyone expected, but still agreed was delicious. We also shared a coconut-based crème brulee which was divine! Wild Cow. Because of all those leftovers, I had to wait until the next day’s dinner to pick another place. 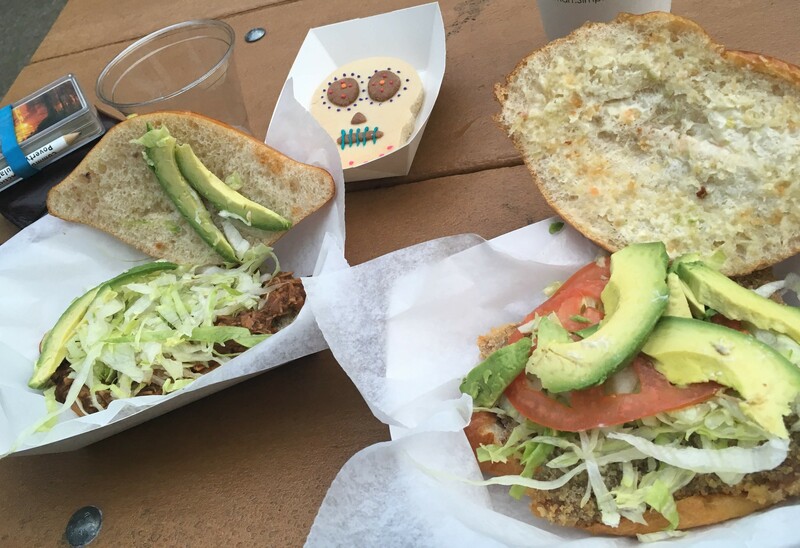 This time we went to Wild Cow, also on the east side. Again I over-ordered because I was not used to their giant portions. 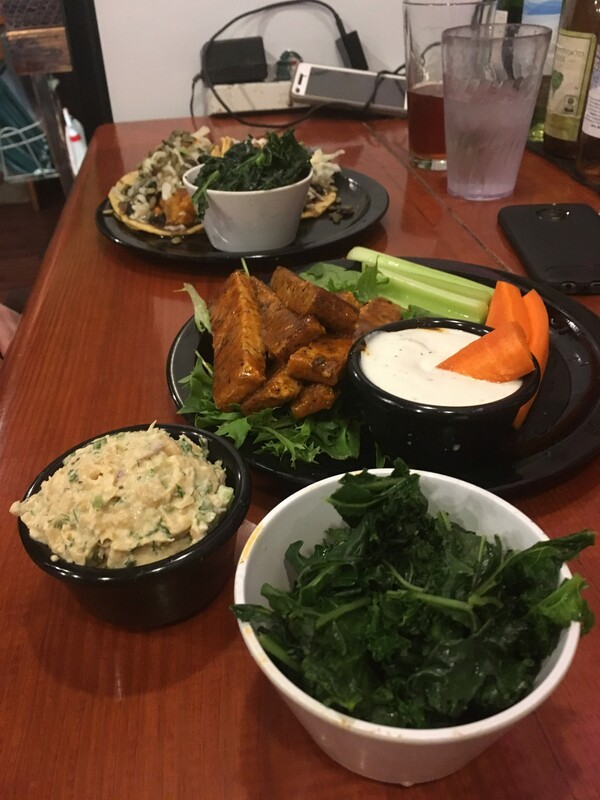 This time I got some garlicky kale and an appetizer dish of tempeh buffalo wings. These wings were a freaking bargain! You get a HUGE cup of homemade ranch dressing, as well as basically a whole block of buffalo marinated tempeh with some fresh cut veggies on a pillow (to say it was a bed sounds misleading) of mixed greens. Still in a daze from my tempeh tarragon at Graze, I thought I would get the chickpea salad here too. Though I didn’t enjoy it as much as the chickpea salad at Graze, it was still quite good. The kale was nothing to write home about, particularly as the garlicy kale back home (at Modern Times) is basically the best garlicy kale in the world. My partner tried the sweet potato tacos, which were a bit too sweet for me, which is no surprise. Vegan Vee. Moving from dinner to breakfast, while I learned about new developments in web-based databases, my partner made a B-Cycle pilgrimage to Vegan Vee, an all-vegan and gluten-free bakery. She got three things: a raspberry jam-filled doughnut muffin (which we decided should be called a muffnut), and one of each chocolate and vanilla cupcakes. The “muffnut” was quite possibly the best thing either of us ate on the entire trip. She actually had to go back and order another one because she ate it before I could even know that it existed. (And I’m so glad she did, because there was no vegan breakfast for me at the conference this time.) It had a really nice glaze on top. The cupcakes were also both very nice—they were noticeably not as gummy as many others I’ve tried throughout the years. 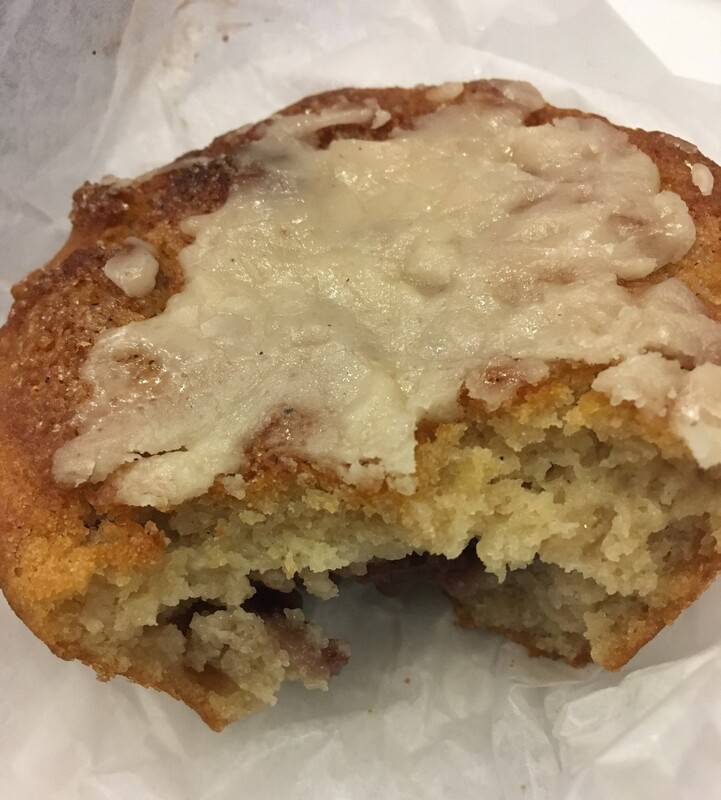 That being said, everything was very muffin-like in texture, and a little crumbly, which I didn’t mind but others might take issue with. Succulent Vegan Tacos. I was so happy to stumble across this little pop-up at the Nashville Farmers Market. You would think that these people had a regular gig given the appearance and popularity of their booth in the Market House, but apparently they just have pop-ups a few times a month. Well, I consider myself very lucky to have gotten to sample some of their food! Everything here was 100% vegan and while I can’t speak for their ownership, I read all the counter and prep staff as Latinx people. 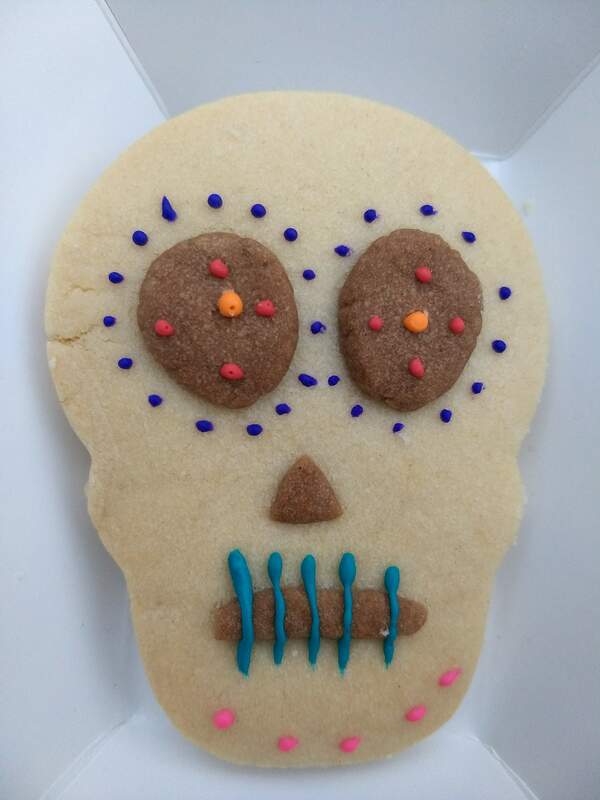 I got one Milanesa and one Jackfruit torta (Mexican hoagie is the best way I can describe it), the best hochata (cinnamon rice milk) I’ve had in ages, and a cute, decorative sugar skull cookie. YUM! Southern V. OK I’m really sad to say that I missed the brunch here, which was somewhat devastating because I really wanted a waffle. But I got up early to go to a free Camp Gladiator community workout and the timing just didn’t work out, unfortunately. When I did finally get to eat, I got a “tuna” melt, mac & cheeze, and some hot-fried chick’n. The sandwich was a little sloppy to eat but basically was a cheeze sandwich with some bonus tofu egg salad and tomato. The chick’n was hot and spicy. And again, so much food that I had to take some with. Tempered Café & Chocolate. Somehow stumbled across an internet mention of vegan truffles at this place, so natch I had to go check it out. Ummmmm….clearly the best vegan truffles in existence. The shine on the chocolate was absolute perfection. 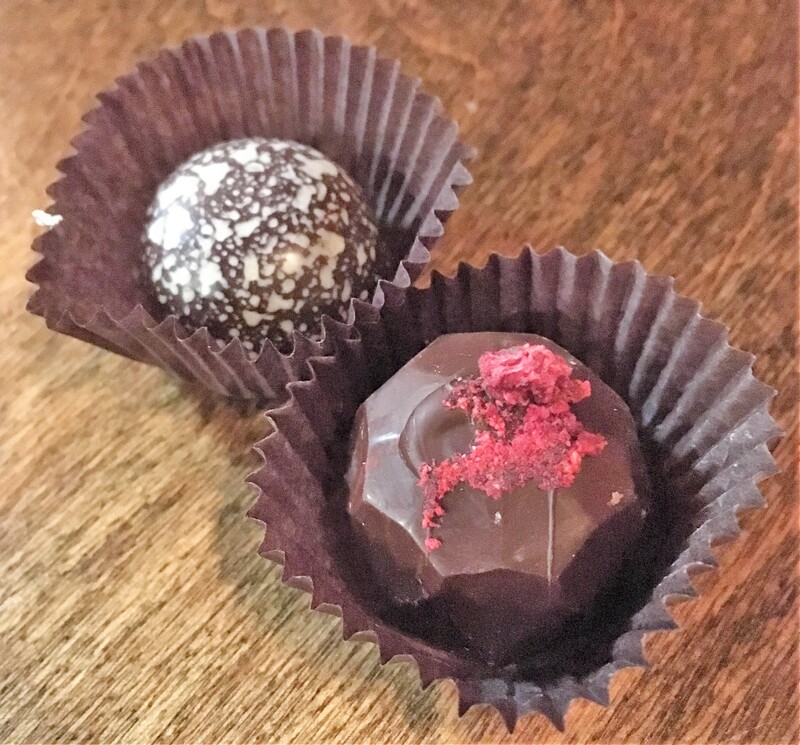 They only had 2 kinds of truffles when I stopped in, so obviously had to try both the Raspberry Cabernet and Mint Meltaway. It was a live fast, die young investment of $5, but I have no regrets. They were tiny pieces of perfection. There are also three other vegan truffle varieties (Rose dark, French extra dark, and Toasted Coconut) that I was told are easier to get during the week. The place had a cute, chill atmosphere and although little if anything appeared vegan, it was worth the short trip north of the Capitol to check out. Coco Greens. This place is located right next to Café Coco; the owners are apparently married but don’t let it fool you; there is nothing vegan about Café Coco. I’m not sure how often this happens, but I thought it was too good to be true when I was standing in line and ogling the cakes in the case. I asked a local what his favorite things were on the menu, and after he told me I was like ummmm not sure I’m in the right place. So I whipped out my phone to do a quick google map check and lo and behold, the vegan place was next door. So once I wandered over to the hippy dippy vegan side of the operation, I spent a lot of time deciding what I wanted. Once again, I ordered too much. My partner and I got a salad, stir fry, and a wrap that came with a side, though all that they had left was salad and soup. I also want to note that we got here well before close (almost an hour) but were told they only did take-out after 7pm. This was fine, but it didn’t appear to be stated anywhere in advance, so thought it was worth a mention. It was also a little ironic that a café with so much vegan propaganda on the environmental perks of eating veg to serve their mandatory to go food in Styrofoam containers and supply a small army’s worth of napkins. Speaking for the food, the stir fry was great; it was mostly cabbage which I don’t know that I ever really had stir-fried before, but it was really tasty. The soup was a bit gingery (I was expecting more of a creamy curry from the description provide) but it grew on me. The wrap was kind of lackluster, but made for a great 6am flight back home snack. The kale salad really hit the spot, particularly as I had eaten so much rich food on this trip that my tummy was a little mad at me. It was a GIANT salad, filled with orange, pepitas and avocado, though unfortunately was a little lacking on the avocado which was the main draw for me. If you are a vegan foodie who just happens to be in town for a bachelorette party or technology conference, be sure to check out some of these places and, of course, let me know what else you find!